Spring is a special time in Kyoto. While the cherry blossoms bloom, another much-loved event that sweeps Kyoto to greet the arrival of spring is the Kamogawa Odori. The Kamogawa Odori is Kyoto’s annual dance performance that features geiko and maiko of the historic Pontocho District. A symbol of the city’s rich cultural heritage, the Kamogawa Odori is considered to be one of the most anticipated events of the year. 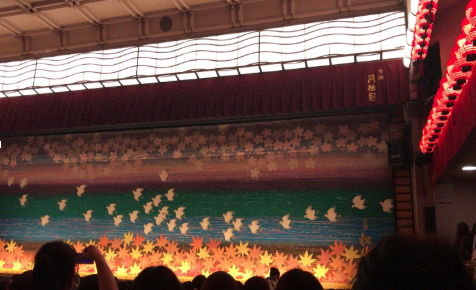 In May, a staff member had the opportunity to attend a performance. 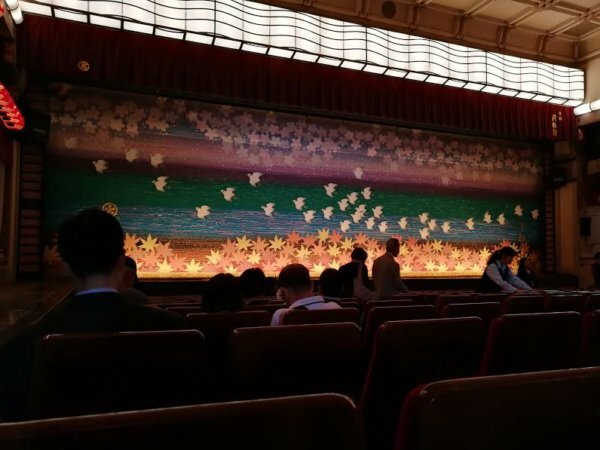 As it has become one of her favourite spring memories, she would like to share her Kamogawa Odori experience and tips with you! The main event – the performance! There are two parts to the performance, about 30 minutes each–just the right amount of time to enjoy each play. A love story inspired by Shakespeare’s work, the first performance was about a man’s dog’s fairy who, in the search for the meaning of love, falls into mischief. Unlike other forms of traditional Japanese theatre, this play had the geishas speaking in modern Japanese, making it a pleasure to enjoy. We also loved the colorful costumes and in particular, the stagecraft involving the changing of the scenes. It was our first time seeing a play, so we were delighted by the scenery! The second performance focused on the traditional artistry of the Kamogawa Odori and featured geikos dancing and playing instruments such as the shamisen. The synchronized dance to the beat of the poem was especially beautiful! There are three types of tickets: special seat with tea ceremony (4800 yen), special seat (4200 yen) and regular seat (2300 yen). Tea is sold for 700 yen. You can purchase a ticket on the day of the performance if they are available, but we recommend purchasing in advance. Online and phone purchases can only be made for the special seat with tea ceremony ticket and the special seat ticket. 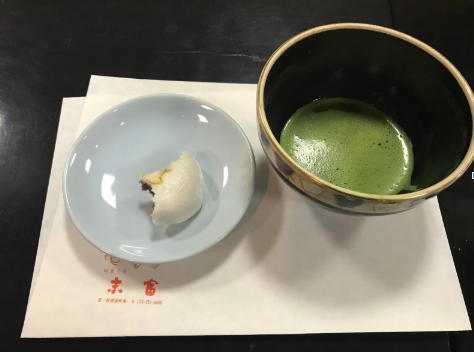 We recommend purchasing your ticket with the tea ceremony option because you can enjoy matcha green tea with manju, a red bean sweet pastry! On the 4th floor hall, geikos will prepare your tea for you. We were fortunate enough to sit at the front facing the geiko! It was such a wonderful experience for us to witness the geiko up close and to enjoy the tea and manju– we can’t recommend it enough! Located in the Pontocho District of the Sanjo area, the Pontocho Kaburenjo Theatre can be easily accessed by public transportation. If you are starting from Kyoto Station, take the Karasuma Line subway in the direction of Kokusaikaikan Station, and get off Karasuma Oike Station. Change lines and take the Tozai Line in the direction of Rokujizo Station, and get off at Kyoto Shiyakusho Mae Station. From exit 1, walk south down Kiya Machi-dori street (木屋町通). Just after Sanjo-dori street (三条通), you will see the “Kamogawa Odori” gate on the left-hand side. Beyond the gate, you will find the Pontocho Kaburenjo Theatre. We recommend this event to everyone, especially those who have never experienced traditional Japanese theatrical performances. For those who are comfortable with Japanese, there is a earphone guide service that follows the performance, providing information about the cast, stage, costume and music. A 500 yen rental fee and 1000 yen deposit are required. Though the play is performed in Japanese, we also recommend the Kamogawa Odori to everyone! The expert performance of the geikos, costumes and stagecraft give life to the play will leave you with lasting memories. Experience Japanese culture! In Kyoto in the spring? Will you be in Kyoto in the spring next year to enjoy the Kamogawa Odori? Stay with in your very own machiya! 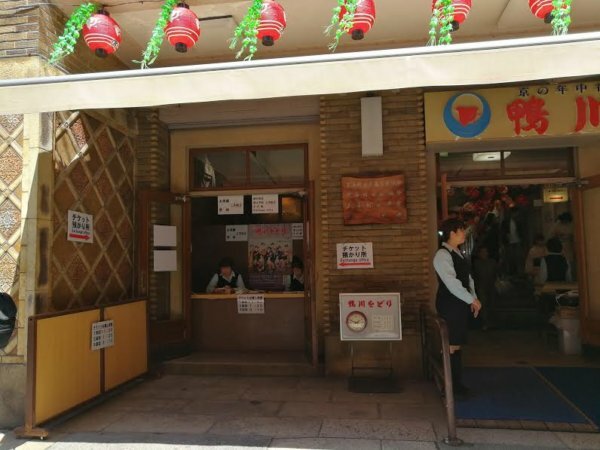 Our Masarigusa and Hatoba-an machiyas are both near the Pontocho Kaburenjo Theatre in the Sanjo district.